If you’ve ever played an escape room challenge before, you know how overwhelming the experience can be for a newbie. Do you think this picture means anything? Do you think they hid a code under the table? Try the numbers backwards! It can be easy to get distracted by red herrings (read: time-wasting puzzles) or to get get stuck and destroy props in frustration. To assist in your efforts to become the Ultimate Escape Room Master (or not), here is a list of things NOT to do when you go to an escape room experience! There is never a need to kick the door down. We know, we know… this is how you would react if ever trapped in some strange place riddled with locks and hidden clues that lead to a key for your safe release. Yes, that probably is the fastest way out of the room and yes, you would most likely have the fastest record ever, but you’re missing out on all the fun! Take your time, breathe, and get those brain waves moving. The point of an escape room is to use the ideas of the team to solve some kind of problem: opening a locked door, finding some hidden money, figuring out who did the crime, etc. These are brain games and are meant for entertainment and team-building. Don’t ruin the experience by having too much ego to ask for clues when needed. We all love a good challenge, but don’t lose out on the experience because you didn’t want to ask for help. I have heard of teams sitting stagnant for 25 minutes because someone was too prideful to take some extra assistance from the Gamemaster. Don’t forget about your teammates! Everyone on your team has different skill sets that may help with different types of puzzles. Don’t get too stuck up on a particular puzzle or clue, as that time could be used searching or getting other things done. Give yourself a few minutes to work on a clue. If you can’t figure it out, have someone else come give it a try. Sometimes all we need is a fresh set of eyes to move us in the right direction. We assure you, there is usually never a good reason to climb on any tables or reupholster/disassemble any furniture. Also, there is usually not a good reason to yank items out of walls or push dressers down on their sides. There’s probably not anything in the ceiling tiles or under the fire extinguisher. Oh yeah, no need to unscrew props securely fastened into place either. Use your brain, not your brawn. Escape games are thought provoking and require lots of brain power to successfully complete the mission at hand. While it may sound like fun to book a room immediately following your work’s Thursday night happy hour session, you will immediately regret your decisions upon starting your escape experience! You may not be able to think as quickly and clearly, which will slow you and your team down. Save the festivities for afterwards! Besides, the escape adventure will give you plenty to talk about besides work project deadlines! Overthinking is terrible for problem solving in an escape room. If your logic behind a puzzle doesn’t make sense, it probably isn’t correct. Clues should be logical and should not require much outside knowledge. It shouldn't take a bot to figure these puzzles out! 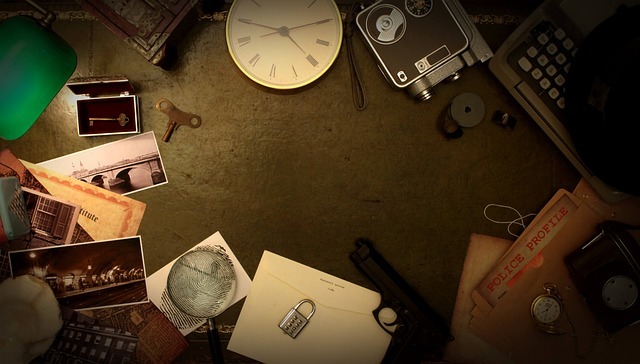 Implement these strategies for your next escape room adventure and save lots of valuable time. Remember, in these challenges, every second counts. Happy Escaping!